SOLD! He is now residing in Colorado but we will see a few kids of his in February. Ragnar’s dam Anahid is the littermate sister to the 2017 National Champion Old Mountain Farm Merriment. 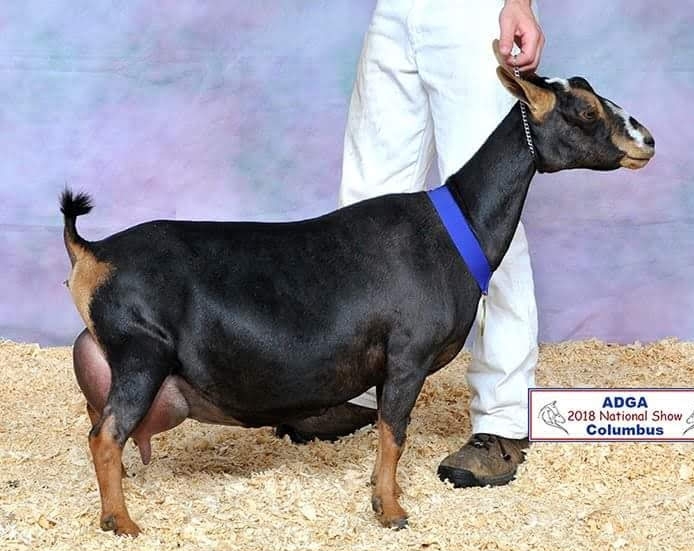 Then in 2018 Anahid’s Sire Bold Elk was named the ADGA Premier Sire and her paternal half-sister Old Mountain Farm Shy Elk was Reserve National Champion. 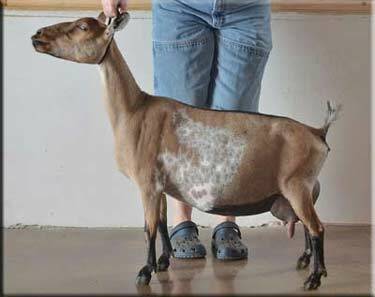 Anahid is extremely dairy and sharp like many Old Mountain Farm does, she is high and wide in the rear udder and has incredible balance throughout. On Ragnar’s sire side, we see the great Old Mountain Farm Cernunnos who in 2017 was listed as an Elite sire. Old Mountain Farm Helen is a big bodied doe with tremendous milking power out of AR NC Promisedland Nemesis adding a lot of width and levelness across the topline and through the rump. Even more exciting is we recently had the opportunity to purchase Oak Apple Ardent so we can not only repeat this breeding, but do some nice line breeding within our herd. Ragnar has competed in 2 rings as a 0-4 month old kid and won Jr. Champion Buck in both rings with 15+ jr. bucks behind him. He is one of the most correct kids in general appearance particularly in feet and legs. He is tremendously wide through his loin and rump also very level and uphill.